Many online bingo sites offer new and registered members a chance to redeem great bonus offers. These offers can present free cash in the bingo account and can even provide free bingo cards. 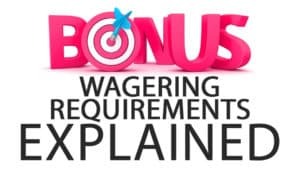 While they are beneficial, they do come with fine print, and it is important to understand all bonus terms, especially wagering requirements. Just about every bingo bonus or promotion that is offered at a site will have a wagering requirement. This means that if players generate wins from the bonus money used, they will have to wager a specific amount at the site to withdraw those winnings. Wagering requirements are in place to ensure the site continues to make a profit even when offering free cash. Few sites have offers with no requirements in place, so every real money bingo player will have to know how these wagering requirements work before they redeem any promo or bonus. 2 How Large are the Requirements? 3 What Wagers Count Towards Requirements? Wagering requirements are part of the terms and conditions of a bingo bonus, and they state how much a player must wager before they can clear the offered bonus. It is always required to complete these before making a withdrawal from an account. The requirements will differ per site and per offer that is available. For example, a site may have a 200% bonus on the first deposit, and this may come with a 4x wagering requirement. This means that is players deposit $100 and get a bonus of $200; they will have $300 in their account. If the site has a 4x requirement on the bonus and deposit amount, players will have to wager $1200 before they can even make a withdrawal of bonus winnings. Some sites only have a wagering requirement on the bonus amount, and in this case, the amount would then be $800. Wagering requirements are standard in the online bingo world, and the details can vary based on what site has been chosen. This is why it is important for players to fully read and understand the terms of every bonus they are considering, so they know how much they will have to spend to even benefit from the presented offer. How Large are the Requirements? 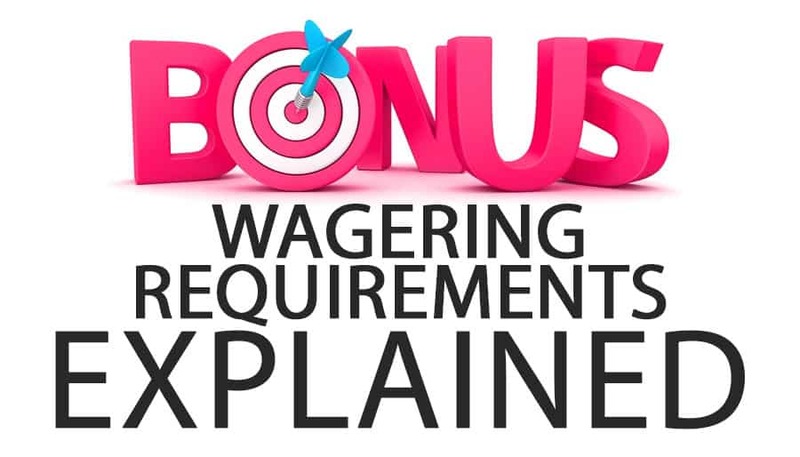 When considering a bonus offer, it is best to take a look at the size of the wagering requirement. These can change per bonus and in general, the higher the bonus amount, the higher the wagering requirement. When playing at online bingo sites, players will find that the requirements are much lower than at online casino sites. In many cases, the wagering requirement for a bingo bonus is between 2 and 6x the bonus amount. With online casinos, these numbers can be as high as 50x or more. However, when it comes to bingo bonuses, the largest number does not always mean the best bonus deal. Many sites will tack on a large wagering requirement when bonus amounts are worth higher values. When choosing bingo bonuses, one of the first things to look at is the wagering requirement as this plays a significant role in the overall value of the bonus. Make sure to choose a bonus that offers a decent amount of money, but also comes with the smallest possible wagering requirement. What Wagers Count Towards Requirements? When claiming a bingo bonus, only wagers that are placed on bingo games will be counted when clearing the bonus and meeting those wagering requirements. When playing at an online casino site, some other games may also count, such as slots and instant win scratch cards, but in most cases, a bingo bonus is cleared by playing bingo only. The terms and conditions will explain the wagering requirements and what games can be played to clear these requirements. Different games will count for various percentages, so be sure to choose games that will help meet the requirements quickly so that players will be able to get their hands on the cash winnings that have been generated. Bingo bonuses may be appealing to many players, but if they come with high wagering requirements, they may be completely useless. If players have to wager large amounts just to claim their bonus winnings, they may find they are spending more than the bonus was worth in the first place. When choosing bingo bonuses, always read the terms and conditions before redeeming the offer. Take some time to compare bonuses at different sites as some will have minimal requirements in place. The goal is to find a bonus that provides a good amount of money while keeping requirements low, allowing players to benefit from the free cash and get their winnings quicker.